Trust Your Yard To The Professionals. A Clean Yard Is A Happy Yard! Weekly Mowing & Fertilizing Services Available. Free Estimates On Retaining Walls! A company big enough to handle all your needs, but small enough to provide you the personal service you want. Service is our number one priority! 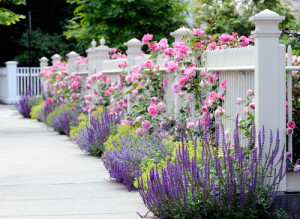 At Green Thumb we work hand in hand with you to come up with a plan to tackle your outdoor needs. Hiring us to do your dirty work, opens up your free time to do the things you really want. 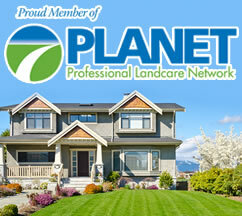 In 2005, we started this company with the goal to provide a very personal total lawn maintenance company. We feel that by offering all the services needed to maintain your lawn and landscape that you, the customer, will use one company to do all that is needed for your lawn. By doing this we can close the gap of mis-direction and mis-communication between us and you. As we stand today, every employee that is responsible for a lawn has at least 5 yrs of lawn maintenance experience. I have worked for the largest Lawncare company in the United States and the practices and training that they employ are second to none. I now use the same training with my company. I think we can take better care of your lawn for a few reasons… we are smaller, lighter, and we have the time to spend with you one on one on your lawn. Our approach to grounds-keeping goes far beyond mow, blow and go. Our certifi ed experts actively assess the health of your plants, the efficiency of your irrigation system and the aesthetics of your outdoor environment – and we do it all with service that’s as fast as it is friendly. So whether it’s for a model home, a private home, a community common area, a commercial development, park, streetscape, we specialize in an on-the-spot approach that maximizes beauty and minimizes headaches. As for those times when an unwelcome situation arises regarding your landscaping, you can rest easy. Our landscape technicians will respond quickly so you can go on with your life. The fact is, we believe you shouldn’t have to worry about your landscaping, you should simply be able to enjoy it, and our fast emergency response allows you that.